It is A.D. 71, and Northern Britain is in turmoil. The tribes of Brigantia have chosen to follow the fortunes of the ageing king Venutius, rather than his one time consort, Cartimandua. Rome will no longer tolerate the king’s constant warring, but is also unwilling to restore ‘Catey’ to her throne. 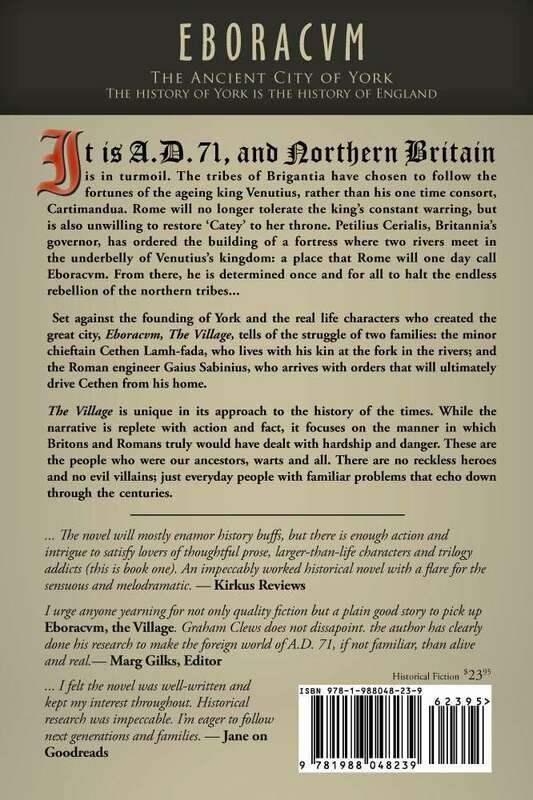 Petilius Cerialis, Britannia’s governor, has ordered the building of a fortress where two rivers meet in the underbelly of Venutius’s kingdom: a place that Rome will one day call Eboracvm. 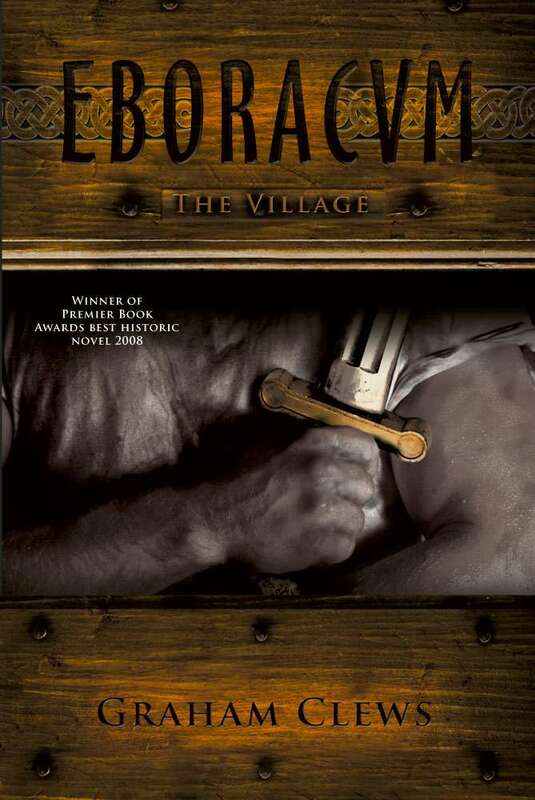 From there, he is determined once and for all to halt the endless rebellion of the northern tribes… Set against the founding of York and the real life characters who created the great city, Eboracvm: The Village, tells of the struggle of two families: the minor chieftain Cethen Lamh-fada, who lives with his kin at the fork in the rivers; and the Roman engineer Gaius Sabinius, who arrives with orders that will ultimately drive Cethen from his home. The Village is unique in its approach to the history of the times. While the narrative is replete with action and fact, it focuses on the manner in which Britons and Romans truly would have dealt with hardship and danger. These are the people who were our ancestors, warts and all. There are no reckless heroes and no evil villains; just everyday people with familiar problems that echo down through the centuries.